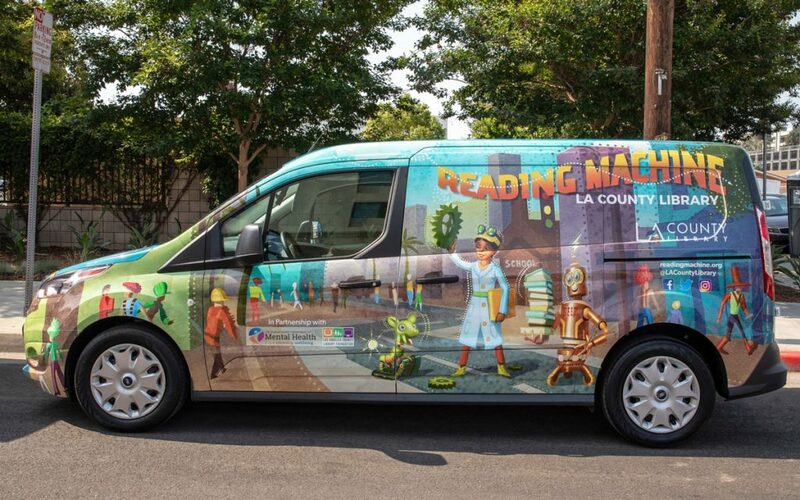 Reading Machine vehicles visit licensed home daycares and preschools to engage children with literacy and STEAM activities through storytime. Reading Machine Librarians also provide early literacy partners with tools and resources to enhance the interactions during their own storytime and STEAM explorations. Daycares and preschools are encouraged to develop a schedule of regular Reading Machine visits throughout the year and provide high interest storytimes for the children in their care. These visits include modeling, tools, resources, books and manipulatives for future use.